I made today's shaker card so that I could enter the Inky Paws Challenge #25 - Halloween Theme. I used three of the spooky characters included in the Boo Crew stamp set from Newton's Nook Designs. The sentiments on the back are from the same set. Oh, that's cute! Lots of fun here. Love the critters! Totally adorable! I love those images and fun shaker design. You are seriously the queen of shaker cards now. Crazy how much festivity it adds to the creation. It's wonderful for Halloween!! 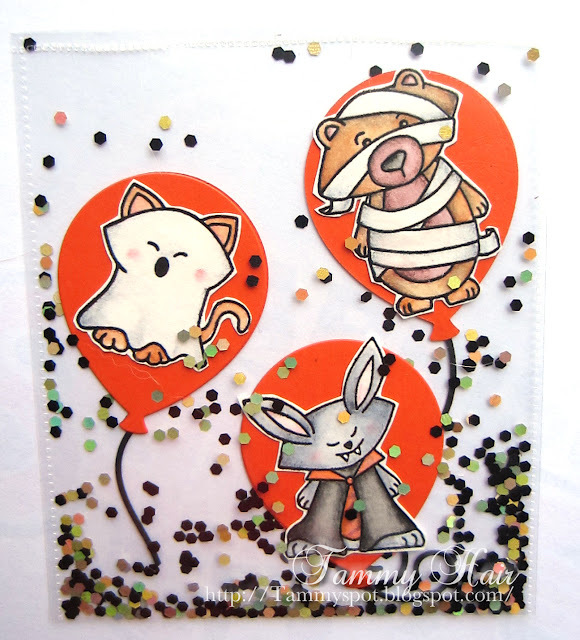 Brilliant shaker card Tammy, the images are so cute and such a clever design. Fun, fun, and more fun! Love all the black and orange on this and of course that wonderful shaker you do to perfection! Fabulous shaker card and I love your design. Those images are adorable too! What a clever card Tammy! Love these little dudes & love your card even more! Sensational Halloween shaker design, Tammy! How cute is this!! A winner, Tammy! 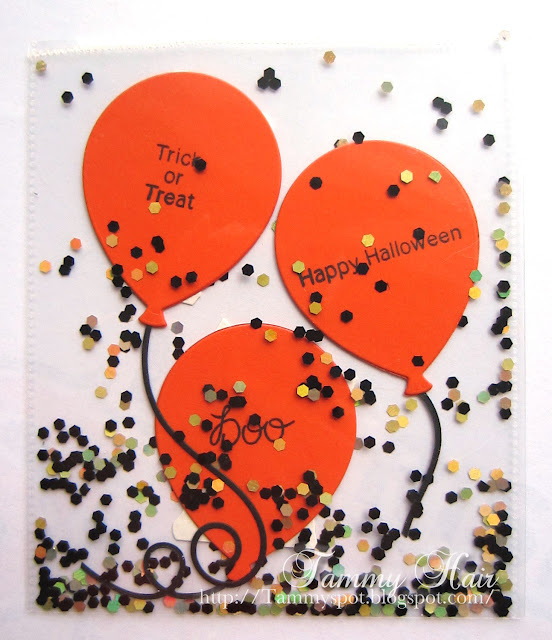 Love the festive balloons :) My HS Bff was born on H'ween - she never liked it though, LOL! This is so adorable! I love that it's two-sided with messages on the back of the balloons! What a fun idea! 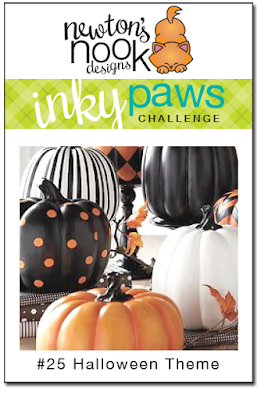 Thanks for getting inky with us and linking up to our inky paws challenge at Newton's Nook Designs.